Hazrat Syed Mohammad Ashraf Kichchawchchvi, Founder & President of All India Ulama & Mashaikh Board has stated that while we fully respect the Supreme Court’s Judgment, we cannot succumb to the self-imposed law of the government. For a well-intentioned and well-spirited reformation in the Indian Muslim society, the government will first have to win the community’s trust with due regard to its faith and all matters of religious conviction. Speaking to the media outlets, Syed Ashraf Kichchawchchvi said that it would be too early to draw a conclusion from the Supreme Court’s observations, unless the final, complete and conclusive judgment is passed. Personal laws come under the ambit of the essential rights for all religious communities including the Muslim minority. They don’t stand in violation of the constitution, Kichchawchchvi said. 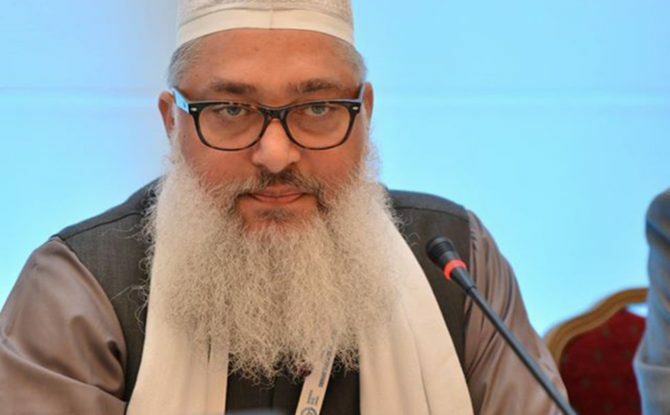 Syed Ashraf Kichchawchchvi also maintained that All India Ulama & Mashaikh Board (AIUMB) stands by the “Indian Muslims’ personal laws” rather than the All India Muslim Personal Law Board (AIMPLB). However, it would not support any infringement on the basic provisions of the religious freedom accorded to the Muslims in the Indian constitution. The Indian constitution’s article 25 which allows the complete freedom of profession and practice of the religion has the primacy in all such affairs, he said. In this context, Syed Ashraf Kichchawchchvi took a note of introspection as well, while stating that the ulema and Muftis (experts on the Islamic jurisprudence) would do well to carry out a rigorous research on the entire subject. Keeping this purpose in view, the AIUMB plans to organize research seminars and workshops across the country to make a deeper delving into the subject matter. This will help us prepare and interpret a well-thought-out Muslim divorce law which will be pertinent both in the Qur’anic and constitutional terms.